I made this cake quite sometime back and have been wanting to post it ever since but was just so caught up with other stuff but today after so many days I got the chance of doing what I love most and that is blogging so here is one of my very favourite cakes. 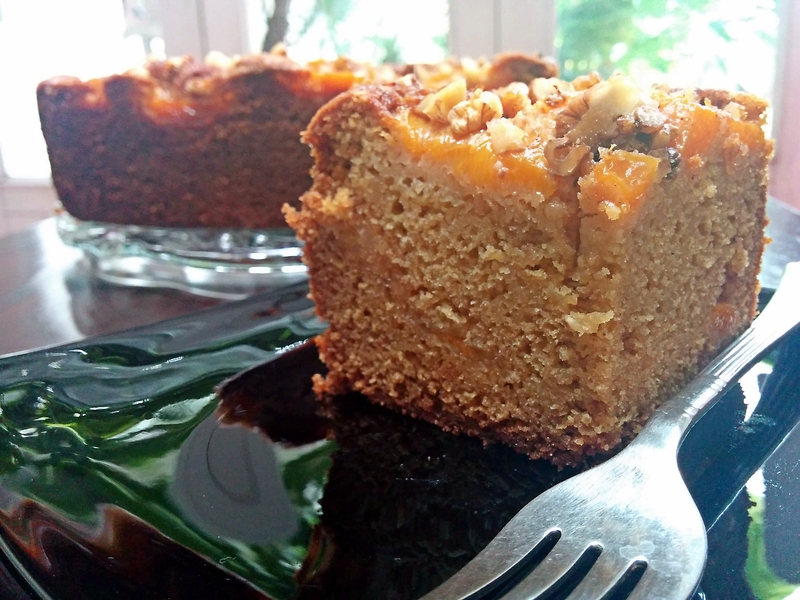 I love this cake, its so moist and delicious and I love the cinnamon in it. This summer inspired cake is juicy and so sweetly spiced the texture is soft and just so perfect. Its an Ina Garten recipe and yes I am a big fan. I cut the cake in squares like bars and would highly recommend eating the cake warm but its equally tasty when cold. Its excellent when paired with vanilla ice cream yet amazing on its own. Preheat the oven to a 180 degree centigrade and grease a 9-inch square baking pan. In a bowl of an electric mixer fitted with paddle attachment, beat the butter and 1 cup sugar for 4 to 5 minutes on medium high speed until light and fluffy add the eggs one at a time with the mixer on low, then add the sour cream and vanilla extract and mix until the batter is smooth. In a separate bowl sift together the flour, baking powder, baking soda and salt. Now slowly add the dry ingredients to the batter and mix just until combined. In another small bowl combine the remaining 1/2 cup sugar with the cinnamon and keep aside. 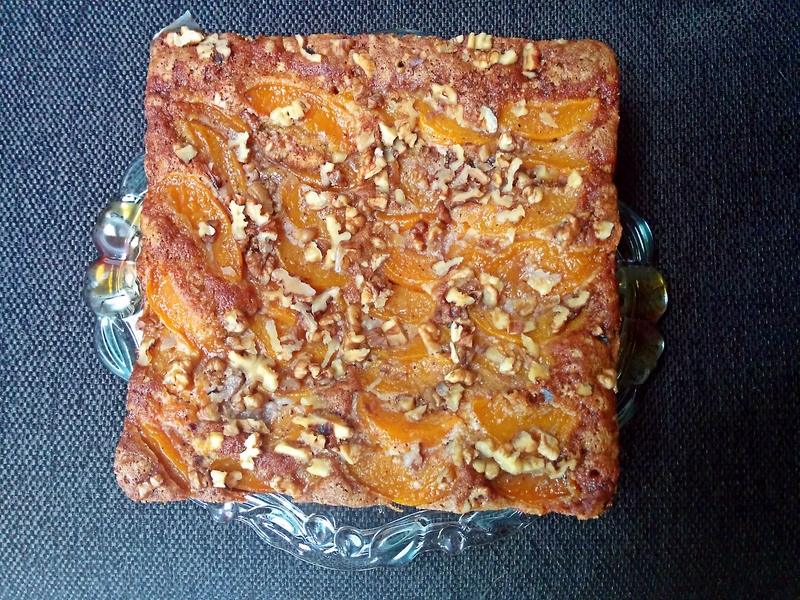 Spread half of the batter evenly in the pan and top it up with half of the peaches and sprinkle it with two third of your sugary cinnamon mixture and sprinkle 1/2 cup of the walnuts, now spread the remaining batter on top and arrange the remaining peaches on top and sprinkle with your remaining sugar mixture and walnuts. Bake the cake for 45 to 50 minutes or until a toothpick inserted in the centre comes out clean. Serve warm with vanilla ice cream ( at least thats how I love it ). 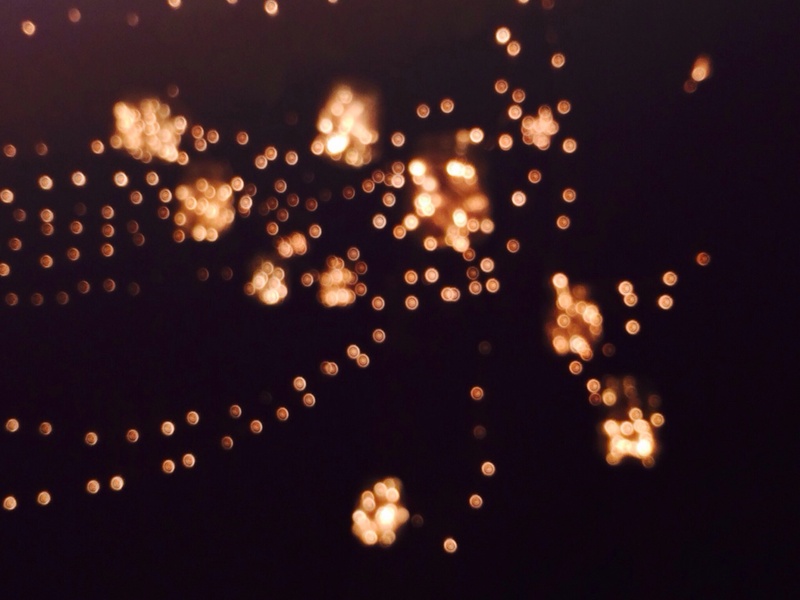 It was my daughters 16th birthday on the 29th of september and she asked for a Midsummer nights dream theme, it was real fun to plan it for her I just wanted to share a few pictures with my lovely blogger friends. This picture is of the Midsummer nights dream feast table we laid it down in one of our smaller gardens and I cooked all of my daughters favourite food we had a board that we coloured with chalkboard paint and and wrote the menu on it. 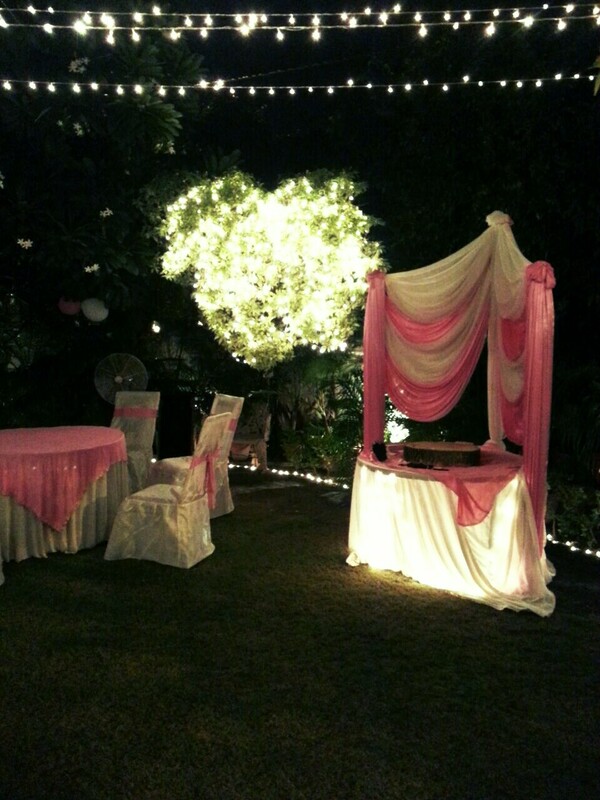 We put the cake table and the seating in the bigger garden where all her friends sat and danced. 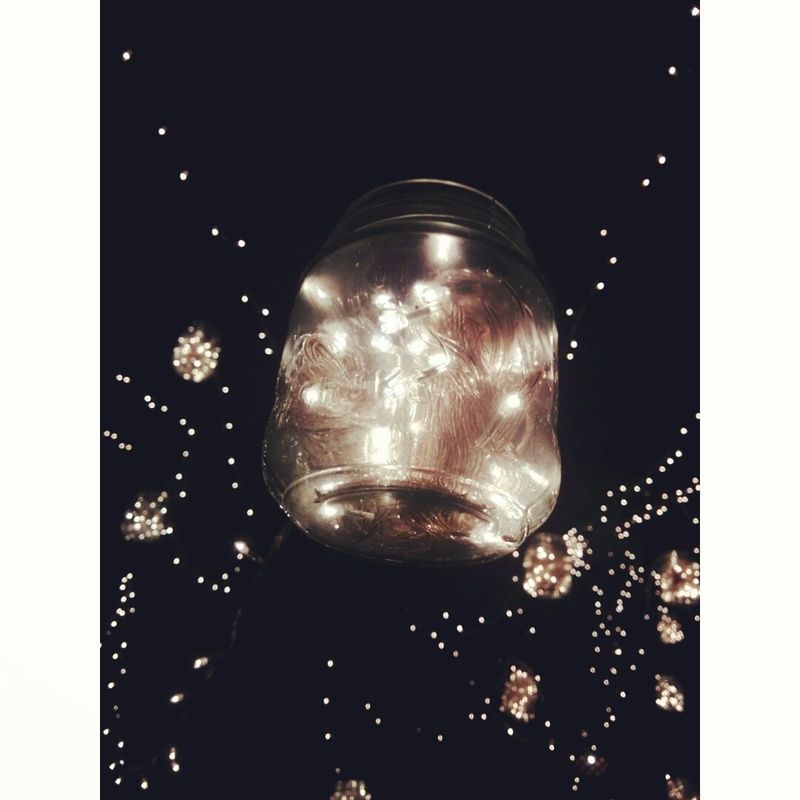 We filled the night sky with fairy lights and candles in mason jars and it looked so beautiful. 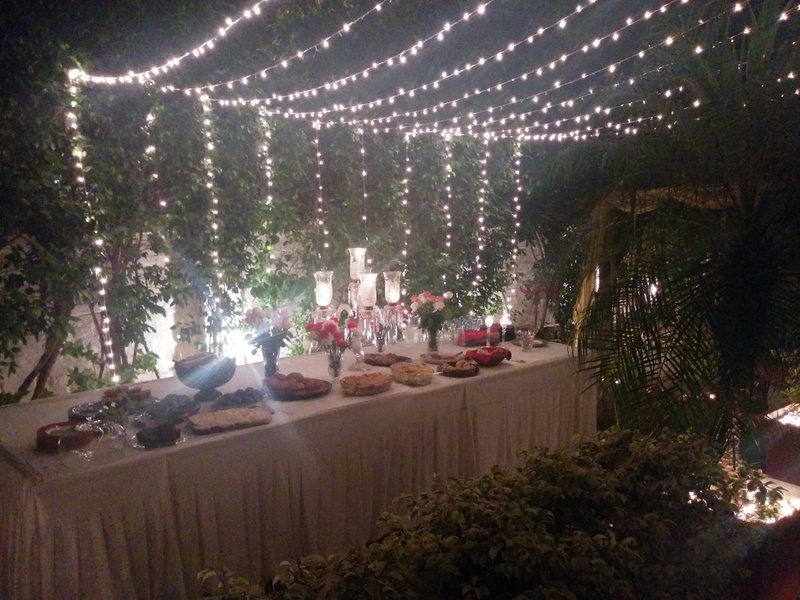 It was a perfect 16th for my daughter and she and her friends loved every bit of it. 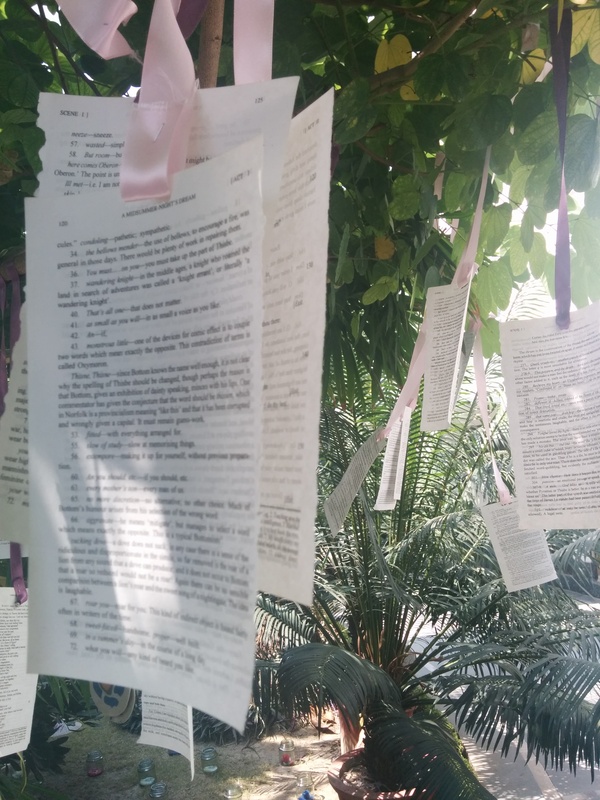 There is a beautiful flower tree as soon as you enter the house we did hang pages of the Midsummer nights dream book and tied the pages with ribbons on the tree. 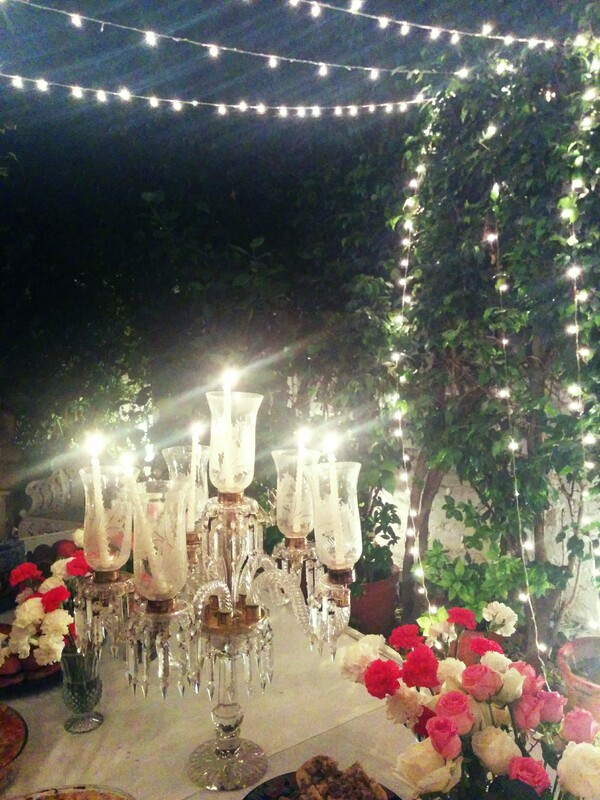 What a beautiful party setting! 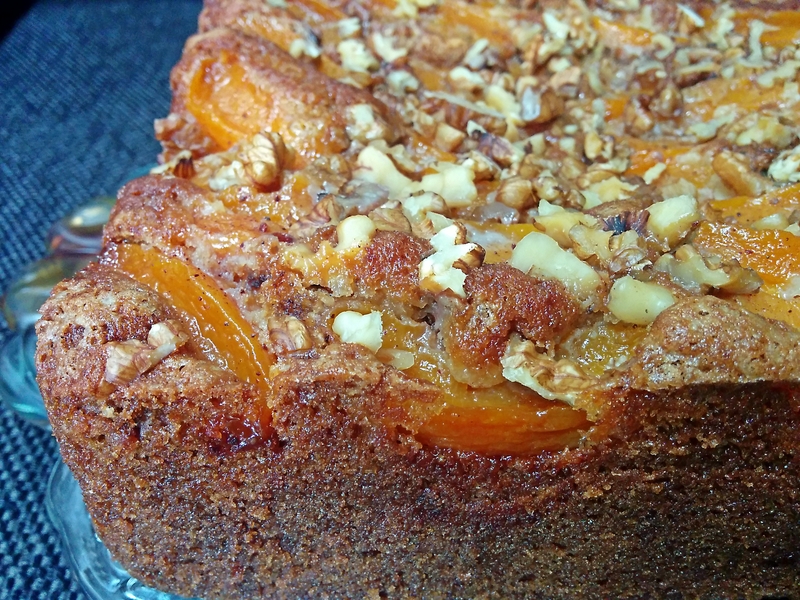 The Peach Cake looks so moist and delicious! 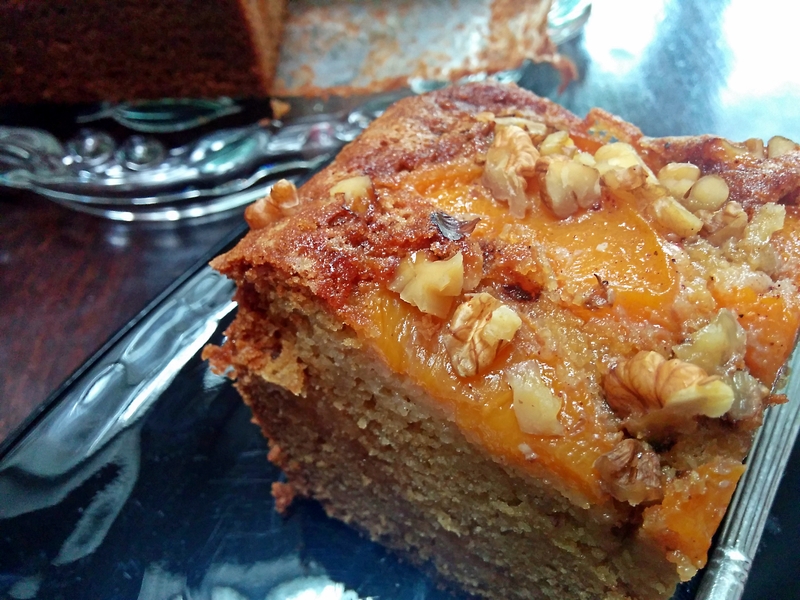 I love this peach cake. It looks very moist and delicious!